It’s that time of year again, kids are going back to school, the football season has started and it’s nearly time for fresher’s week! As universities around the country prepare to start a new year and welcome in fresh-faced students, there is plenty of preparation to be done! Insurance is one thing that may sit far behind the toasty maker and text books on every student’s list but could come in handy. At The Insurance Emporium, we believe that you should have the time of your life at university and don’t want to see anything unexpectedly go wrong, however it could happen. That’s why we put together these five reasons that you should consider student insurance! Due to the abundance of high value items and potential for unsecured entry points, it’s no secret that a student home could be the ideal target for thieves. 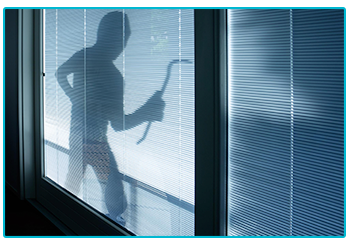 Making sure that you keep your doors and windows locked is a good start but some thieves refuse to let that stop them. Having some insurance in place could be vital if you do find that your student abode has been broken into. Moving to a new city for the first time can be incredibly exciting and present the perfect opportunity to explore as you find your way around. This can sometimes be a little risky if you don’t know which areas are safe and where to avoid. Being the victim of a mugging is an awful experience and can leave you feeling very unsafe and violated. An insurance policy could help to cover for damage to your clothing and severe bodily injury sustained by such an awful act. Your time spent at university is often the period when you start to grow up and learn how to live independently. With this in mind, it’s also the time when you’re probably most likely to set your kitchen on fire or do something a bit daft that might damage your possessions! 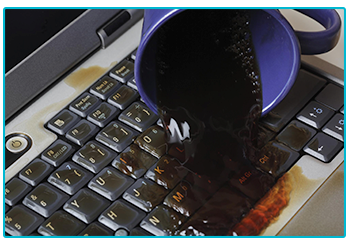 Whether you’ve knocked a coffee cup onto your laptop during a late night study session or accidentally stood on your kindle, having an insurance policy could help cover you for this accidental damage! Owning and running a car or expensive public transport isn’t always an option for students, that’s why many are opting to use a bicycle as their preferred mode of transport. Along with owning and riding a bike comes the added responsibility of having something else to try and keep safe. Whether it’s the threat of theft or the possibility of accidental damage, making sure that you have cover for your bike could be very important! It might be one of the biggest clichés when it comes to students but it’s probably with good reason! 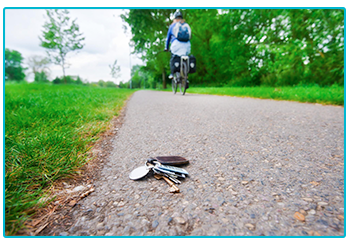 Losing the keys to your student digs is a common occurrence, especially taking into account the amount of text books that need carrying about, the number of social events to attend and the time spent on different modes of transport! It’s no real surprise that some students find their keys going missing regularly! Whether you simply need a replacement set of keys or an emergency locksmith, having student insurance could cover you! We appreciate that the start of a new year at university is an exciting and busy time with plenty happening but spending a few minutes sorting out some insurance for students could prove to be a great decision if anything goes awry during your studies. At The Insurance Emporium, our Student Insurance policies come with a 20% Introductory Discount* and include cover for Contents up to £5,000 as a Standard Benefit! Head to The Insurance Emporium to get a quick and easy quote today, then you can get on with enjoying your time at uni!